Not so long ago, we talked about why you need to use keywords for your business, and how you are hurting your business otherwise. After that, I made a promise of coming back here with some tips on how to get the best out of keywords. While you must have learned, and seen the light on the issue of keywords, the knowledge is a waste if you don’t know how to get the keywords that relate to your niche. That is why I have decided to compile some of the best keyword research tools on the internet. This might be a free tool, but it is one of the very best and widely used keyword tools among niche business people. This free AdWords tool makes it easy to set up your business with relevant keywords. After creating an account and signing up, Google would give you a ton of possible keywords that are associated with every text, phrase or even, website address you enter. They are in the best place to do this too, given that they operate the largest search engine known to man. From the Google Keyword Planner, you are not only treated to the possible keywords to use but actionable statistics. These include, but are not limited to, information on the performance of such keywords, their history on the internet, the competitiveness and so on. Another big one from Google, the Google Trends solution ensures that you stay on top of trending things on the internet. That way, you can easily get on buzzwords and make them count for your website (in form of organic traffic) before the trail goes cold. What makes Google Trends even better is the graphical aids that have been implemented. Instead of throwing you tons of data that might take minutes to sift through, you get charts and graphs to best interpret the data. The results are also made cleaner by treating every internet user as a separate entity. Thus, you can be sure all the results are unique, and not from the repeated inputs by multiple users. The guys over at TermExplorer have taken the game one more step than Google, and they have come up with this interesting solution. I say interesting because of the kind of operations and tasks you can get with this tool. For your own website, you could enter a single search term and get up to 10,000 live options of keywords that can better increase your ranking. 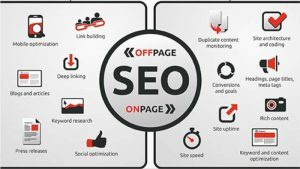 This is combined with a full analysis report on things such as data on entries in the first page of search engine results pages (SERPs), the strength of the keyword, competitiveness and score. Term Explorer takes the game a notch further with the introduction of a neat feature that lets you see how your competition is doing. You get to do some analytics on them, their methods and know what to do to counter such measures. Coming in at a basic price of $34/month, you would be making more from this tool than you give to it. If you don’t need all of the complex tools, there is a free (limited use) version of this tool that you can check out. There is a free keyword tool from this developer, but their basic paid plan starts at $99/month. Well, that price is justified in their in-depth analysis of ranking keywords. Moz’s keyword difficulty tool doesn’t believe in numbers, rather, efficiency. For every keyword you input into this tool, it returns the top ten pages that rank for it. From there, you can easily pick out how competitive it is. Even if you can’t, the tool is still going to assign you a ‘Difficulty Score.’ Afterall, isn’t that what the name says it’s all about? Have you been looking for a chance to spy on your competitors, then exploit an option to bump them out of the top (or first page) in Google’s search engine, you might not need to look any further than SEMrush. You can even take two different domains and compare them to get results on their competitiveness, positions in the Google organic and paid search results as well as common keywords. You can use this to compare competitors, then take the best of both worlds to increase your business’ conversion. Before going on to say what you get from this one, I personally recommend it for someone who is new to the business of keyword research and would like to go for a paid option too. That is because this tool has provisions for different levels of users on the learning curve. Staring at a price of $19.95 for beginners, AccuRanker saves you an amazing lot of time. Gone are the days when you have to stick to the computer and monitor keyword statistics for hours. In the blink of an eye, you get very accurate information. If you are part of a team that requires you to make periodic reports of keywords and analysis, you’ll be saved a lot of stress with the inbuilt weekly reports feature. If you’re still not impressed, wait till you find out that you can not only get what pages rank locally but those that score internationally for your chosen keyword. Known to others as Keyword Tool.io, we agree that this might not be the best option on the internet, but it does get the job done. There is the chance to use this tool as a freemium (of which you don’t even need to create an account) and the option of making a premium decision. Whatever your choice, Keyword Tool has you covered when what you want is a list of long tail keywords. It is particularly impressive for bloggers who are looking for titles which would do well in search engines. If you want more than just getting keywords (with no other data on them), you could consider the Pro option of this keyword tool. With that, you get to export your keyword for search engine optimization, online campaigns, and PPC. These are surely not the only options for keyword research on the internet. However, you will find out that they are not just some of the widely used, but they also generate results. If you have not been using keywords for your business, take some time out to look at those tools as have been provided here. In continuance of this series, I will be bringing you some more hot tips on the subject of keywords soonest. Don’t change the dial! If you’ve got any other effective keyword tool that didn’t make this list, or you happen to be a fan of one (or more) on the list, let’s hear about it all in the comments section.